After publishing books on the quiet corners of London and Amsterdam, artist and writer Siobhan Wall has now focussed her attentions on Paris. I ask her what attracts her at once to cities and silence, and why quietness is so important to her. You have chosen to live and work in large, dynamic cities, notably London and Amsterdam, but publish books that focus on silence. Can you explain this apparent paradox? It does sound paradoxical, but one of the reasons I wrote Quiet London was because I found the capital incredibly noisy and not a very calm place to live and work. This is where I got the idea for the 'Quiet' series a few years ago. I was living on busy Camden Road and I couldn't sleep at night due to the sound of lorries driving past. I was also working in a university building in the middle of a roundabout so it was not only frustrating having to deal with traffic noise but coping with the air pollution, too. There were no tranquil lawns to sit outside and have lunch or just chat with colleagues. I had a busy lecturing job and my husband thought that the best way to stop me working too hard was to take me to another country. As we liked cycling, we moved to Amsterdam, and it's much nicer to live in a village-like place, where everything shuts down after 7pm and the streets are almost silent. People go home early after work and many parts of the city are deserted after dark. We live near the zoo, so as soon as the gates are shut, all the children go home and the animals doze off and it's really peaceful. There are already books about finding quiet country walks near places like London but it is a lot harder finding quietness in busy cities. I wanted to give people the choice to find a more relaxing side to a city, for when they're tired of crowds, the boring music in supermarkets or being jostled by shoppers in Oxford Street. I stayed in Paris for just 6 weeks, but as in any major city, once you are walking down the quiet side streets, every city can be very peaceful. Think of all those tree-lined Victorian terraces in London with their lush back gardens in summer! Why is important to have quiet places in cities? Should urban planners create more of this features, and if so what kinds? Noise pollution causes considerable stress and scientific research confirms that this increases the risk of heart attacks. So, quietness is also good for our health. If you walk though any city on a warm sunny day, you'll find people sitting on benches in parks reading a book or holding hands with someone they like. No-one chooses to sit by a dual carriageway to find a romantic moment. I think people put up with a lot of unwelcome noise in their lives and we all deserve some respite from the pressures and demands of city life. In The Netherlands, sound barriers are erected by the sides of major roads so that entire neighbourhoods are protected from the constant hum of lorries and cars driving past. I know that in the UK, some backstreets are turned into car-free play areas for children and I think more policies like this are very welcome. They make streets happier places to be as well as quieter ones. In addition to writing books, you are also an artist. Does silence or quietness play a role in this work, or is something you seek as a counterpoint to the noise of your job and passion? When I'm writing the books I can't work with the radio on - I need no distractions at all. Perhaps because I need to focus quite intently. It is the same when I am drawing in my studio, not only am I totally immersed in what I do - I don't even hear the music if I put on a CD, but time flies - one hour feels like a minute, as I'm concentrating so hard. I used to listen to the radio but would feel frustrated if I missed what someone said on Woman's Hour, and then would have to 'Listen Again' to the entire programme. This was a bit of a waste of time, so now I just write or draw and it is a bit like a pencil and paper meditation. My drawings are not usually about quietness but I need silence to make them. Focussing purely on Paris, I've never found it to be a particularly noisy city, and indeed there are even some who think it is not lively enough today, particularly at night. How important is it for a city to get the balance right between liveliness and quietude? This is a really interesting question. Some areas of Paris are very busy, now but I think it is great if a city has both lively bars and clubs as well as small, muzac-free tea shops. Because I went in search of quiet places, I've never been to the Louvre or the Musee d'Art Moderne, although both apparently have quiet galleries as well as the crowded ones full of tourists. 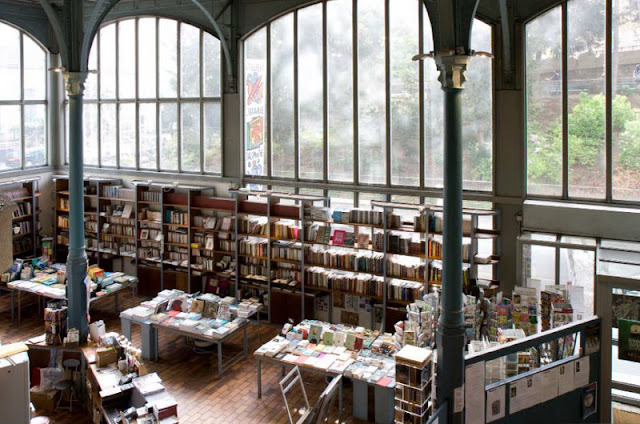 If I wanted an exciting evening in Paris I would go to the Palais de Tokyo, an arts centre that is open to midnight, and amazing, unusual things happen here. It is the complete opposite to the predictable Moulin Rouge dance troupe. Here, the unexpected happens and most visitors to the city don't know it's there. I like West African music, so going to see a Senegalese band play live would be very exciting for me, and there are a lot more of these concerts in Paris than in other European cities. Then I'd relax the next day by having lunch at the restaurant in Musee Dapper, where you can enjoy African inspired cuisine in a quiet setting. I think cities should try and offer both exciting, innovative culture as well as create urban centres which are utterly peaceful and calm. City dwellers need both! What is your favourite quiet place in Paris? What advice would you give to someone in Paris who is looking for peace and quiet? My favourite place was the gardens of the National Archives, and I discovered them by accident just before I left Paris. They opened quite recently, so not many Parisians know about them. I like them because they are so varied, with huge, ancient plane trees and small paths bordered by lavender - they are both enchanting and really peaceful. Like a nest of Russian dolls, there are gardens inside other gardens - as soon as you enter one tranquil bower, another tempts you to enter through a small gate. The archives are also fascinating - this building holds the original Declaration on the Rights of Man dating from 1789 - but on a summer day, the gardens are usually the main attraction. This is the perfect spot to read a book in the shade of an Indian chestnut tree. If someone wanted to find peace and quiet in Paris, I'd suggest they take a day off to discover the places I've written about. 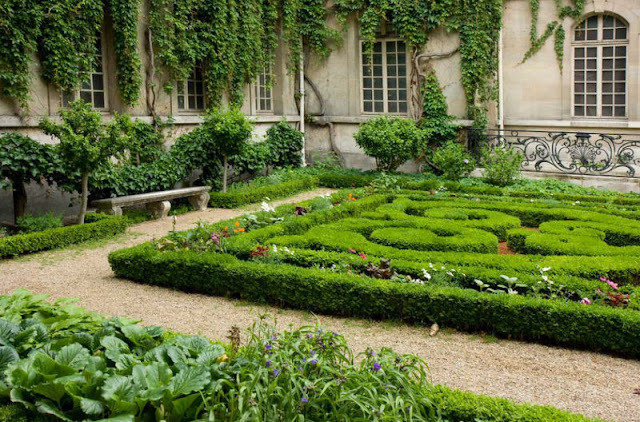 There are a few locations I haven't included, such as the Princess Diana garden in Le Marais, so I hope readers will feel inspired and find their own quiet places for themselves. Looking at my book is just the beginning of many tranquil journeys... I wish I could continue my search - I miss Paris! 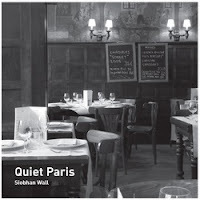 "Quiet Paris" is published by Frances Lincoln, and can be purchased here. 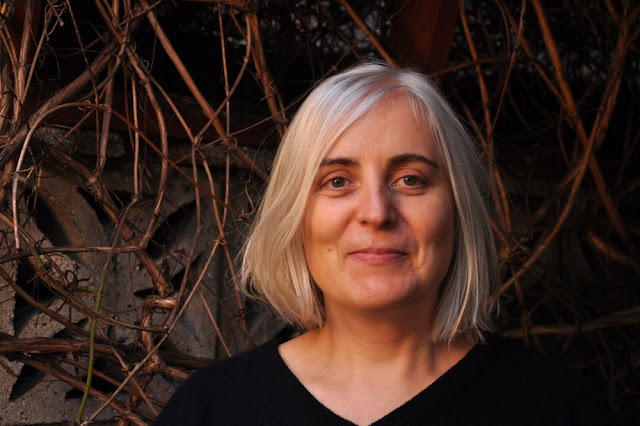 I really enjoyed this blog post and interview. I find myself very over-stimulated in a big city environment and it was nice to hear that even city folk can get noise overload, too! Will definitely put "Quiet Paris" on my reading list.